If you’re thinking of heading to North America, don’t forget about Canada! In 2002, during his Live on Broadway show, Robin Williams hilariously referred to the country as being “like a loft apartment over a really great party”. And while he probably wasn’t being too serious, Canada is a country that’s often overshadowed by its rowdy southern neighbour. But that shouldn’t be the case, at least not for motorcyclists when there are roads such as Icefields Parkway that are begging to be ridden. Canada is home to some of the world’s most beautiful, wild scenery, and the roads that take you through them are just incredible. While the USA might have Blue Ridge Parkway (and many, many more epic routes), Canada has Icefields Parkway. Often described as one of the most spectacular journeys in the world, Icefields Parkway is one that should be on every rider’s bucket list. 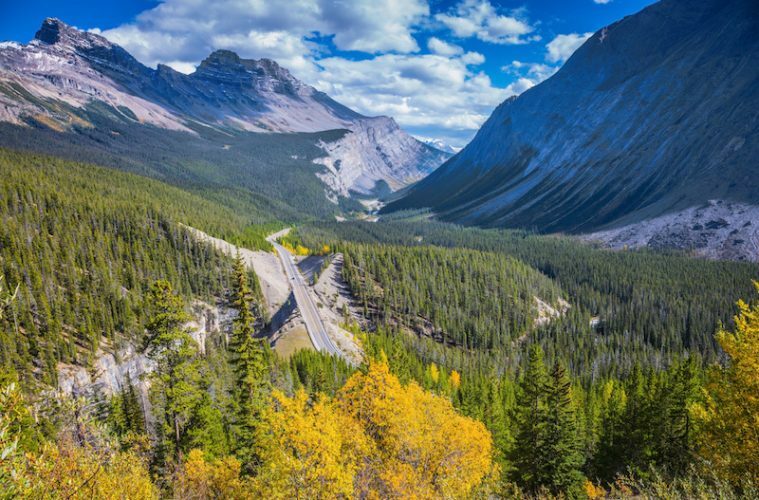 The road links Banff with Lake Louise, and for 144 miles it transports you through a picture-perfect land of wilderness and wide, majestic valleys. Impossibly blue mountain lakes fed by ice-cold glacial rivers sit by the sides of the road, ancient glaciers and ice fields hang off the mountains above you and numerous animals call the forests around the road home. The road itself is a dream to ride, though the 56mph speed limit that’s in place means you’ll want to hold off on that throttle. But that’s no bad thing as this road isn’t about speed, it’s like a 144-mile long exhibition of natural beauty which will seduce you for its duration. But it’s not just the quality of the riding that makes Icefields Parkway such a draw. Throughout the journey there are numerous incredible viewpoints that’ll demand your time, and you’ll want to make sure you’ve got an empty memory card in your camera before you set off. 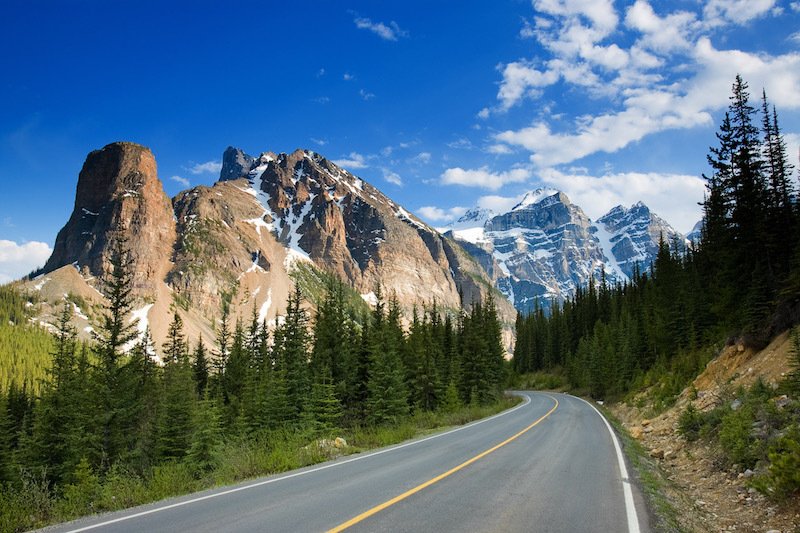 In the winter months, you’ll probably want to stay away from Icefields Parkway, with plummeting temperatures and large amounts of snowfall making it a daunting proposition for any motorist, but between March and October you’ll find the going is good. 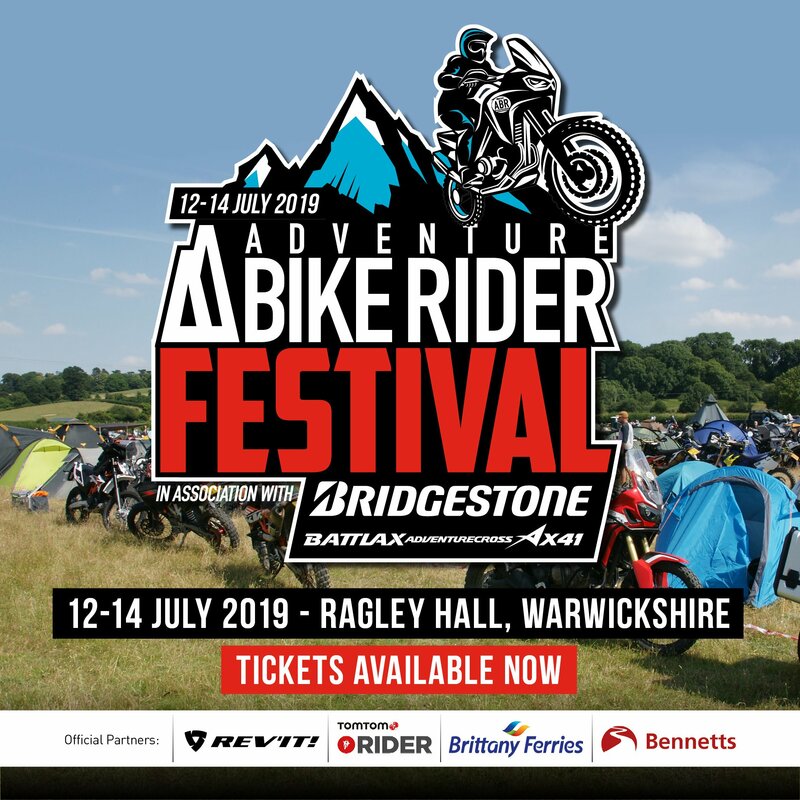 Typically, July and August are the most popular months of the year, with the road attracting some 100,000 vehicles in each month, so plan your trip wisely to escape the crowds. With a speed limit of 56mph in place along the entirety of the road, from start to finish, the whole route is doable in around three hours, but to rush along this tarmac would be missing the whole point of the ride. 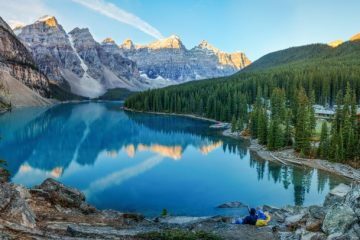 Take your time and savour the views of the dramatic mountains around you, and immerse yourself in the sheer beauty of Canada’s wilderness, you’ll be glad you did. Fortunately, this perfect stretch of road is just one of many around Canada that come preloaded on the TomTom Rider 450. Find the gpx files and more information by clicking here.